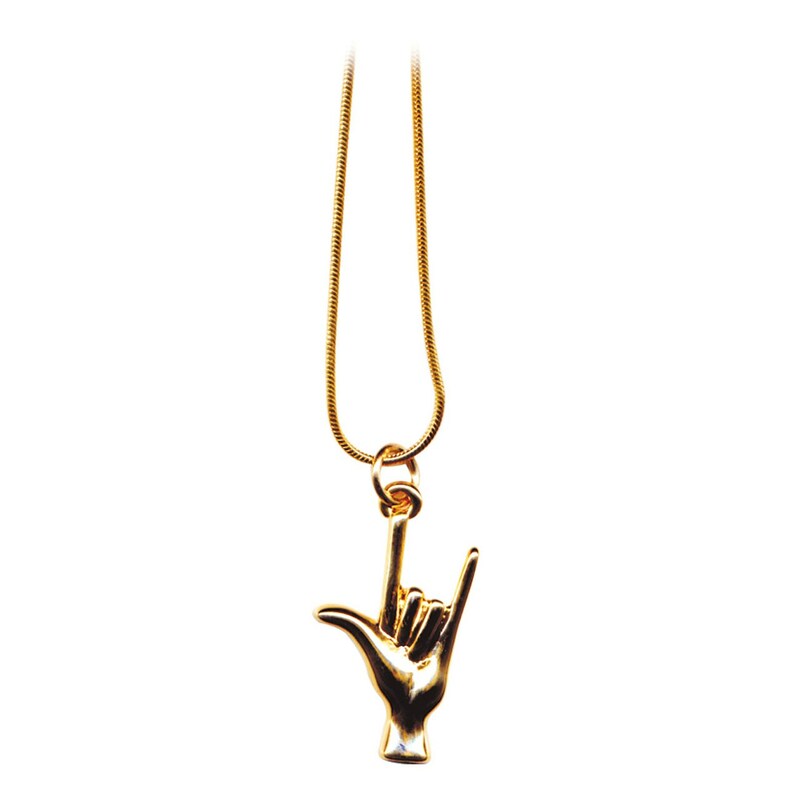 Say I Love You with this delicate charm depicting a hand signing ILY. Charm measures approximately 1 High x 3/4 Wide. Chain measures 18 long. Secure clasp. Gold tone.